Nemours is a nonprofit pediatric health system that provides life-changing medical care and research, helps kids grow up healthy, advocates for kids nationally and trains tomorrow’s pediatric experts. 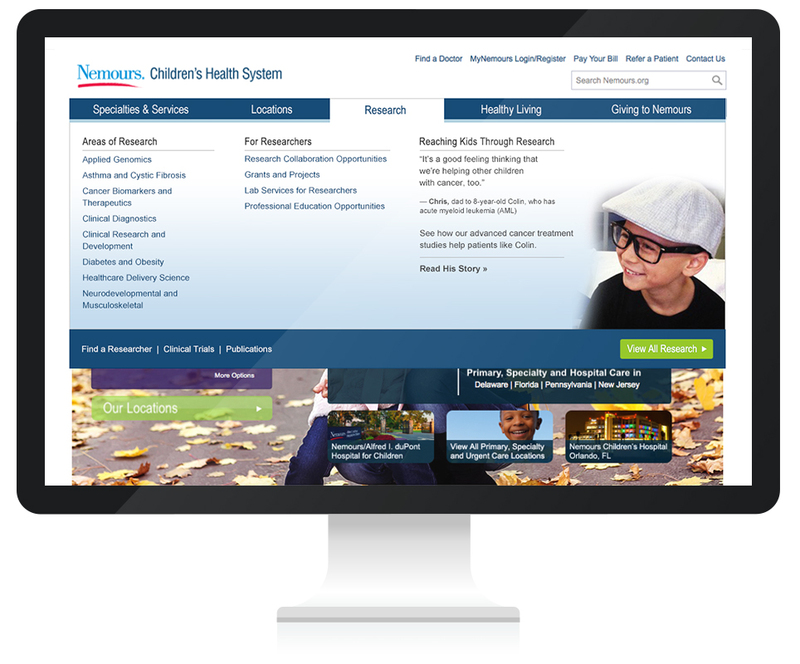 Over a span of 6 years, the Nemours website presence has evolved in three significant iterations. The first was to express the focus on family-centered care as well as promote their world-class research, doctors and treatment for families, referring physicians and medical facilities. 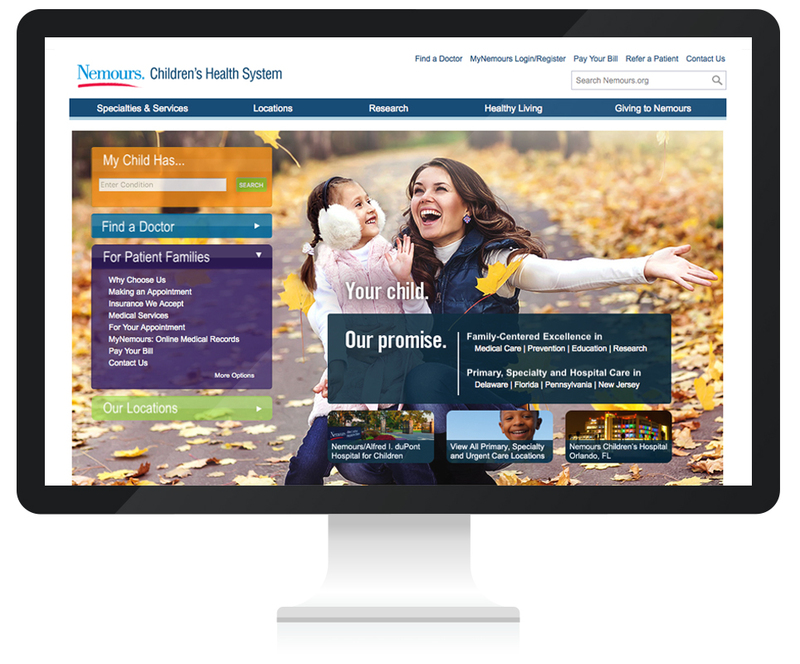 The second was to create an online experience for users to easily interact with Nemours online to find the type of care they needed, schedule appointments and view medical records online. The third was to enhance the online experience for smartphone and tablet users, showcasing the organization's five types of pediatric care, hundreds medical and research experts, and more than 50 facilities throughout Delaware Valley and Florida.